At MCM, it’s all about teamwork. 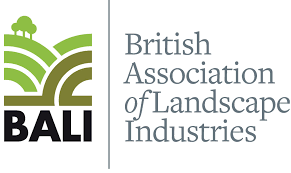 We work tirelessly on and off the pitch, supplying quality topsoil, bespoke mixes and landscaping materials to the leading sporting venues. The perfect, match-fit blend for optimal, all-year-round performance. 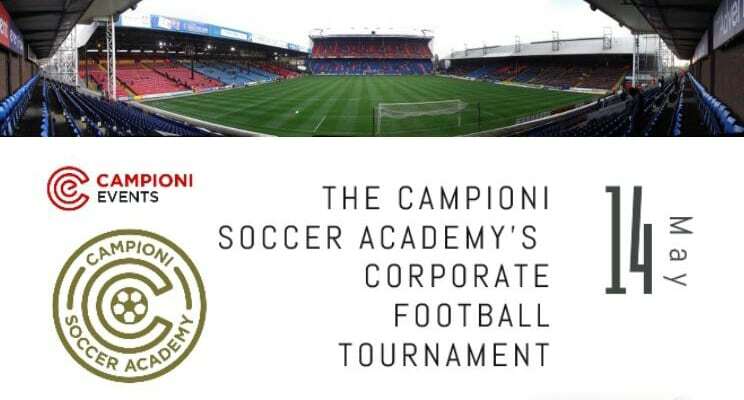 And that’s why we are sponsoring the Campioni Corporate Football Tournament, taking place at Selhurst Park on Monday 14 May. Think you and your colleagues or associates have the tekkers to take on soccer professionals like Andrew Johnson, Andrew Cole and Michael Johnson? Then put your name on the teamsheet now! 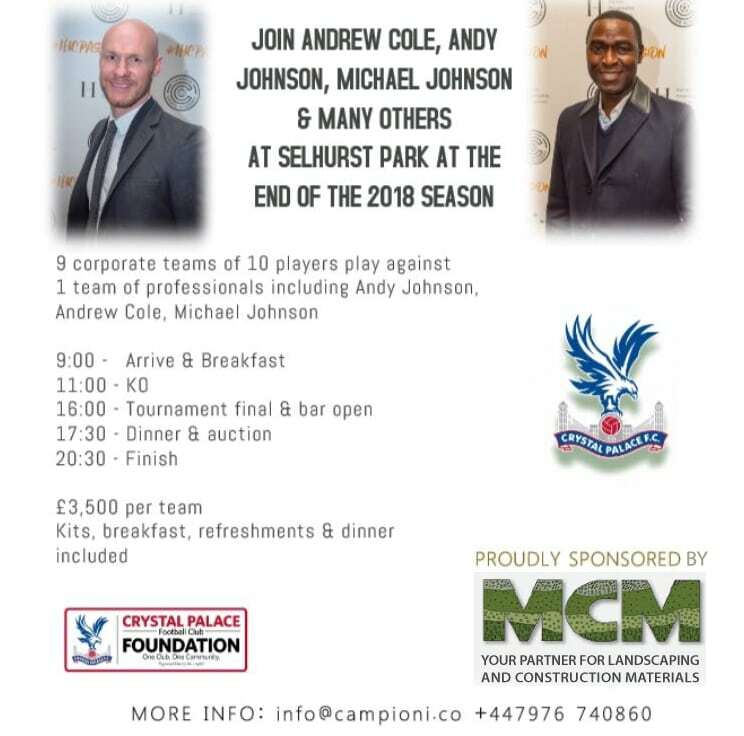 Established by ex professional footballer Andy “AJ” Johnson, the Crystal Palace FC Ambassador now runs the Campioni Soccer Academy, a football academy for children aged 4-16. He brings with him his Premier League experience gained at Birmingham, Palace, Everton, Fulham, his England caps and 114 goals in his top flight career. The academy is also fuelled by involvement from other ex-professionals including Andrew Cole and Michael Johnson and they will form your opponents in the Tournament. 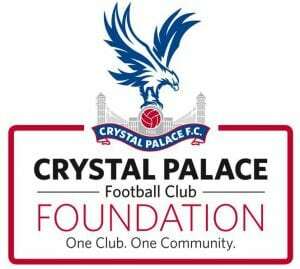 The event takes place on Monday 14 May 2018 at Crystal Palace FC’s ground, Selhurst Park. As sponsors of the event, MCM are encouraging colleagues, associates, clients and suppliers to pick their starting X and sign up. The day starts with a hearty breakfast at 9am leading into the tournament and is punctuated by the bar opening, dinner and after dinner auction. With your kit thrown in, the day rounds off at 20.30pm and will focus on raising funds for Palace For Life Foundation… as well as the opportunity to play and mix with some of England’s finest professional players from recent times. Make sure your name is on the teamsheet – contact Hayley Smith on 07976 760860 or email info@campioni.co for full details.